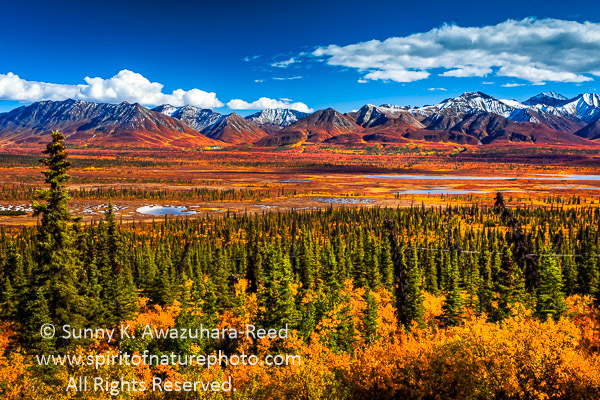 Starting in late August, the Alaskan wilderness gets painted in bright fall colors. 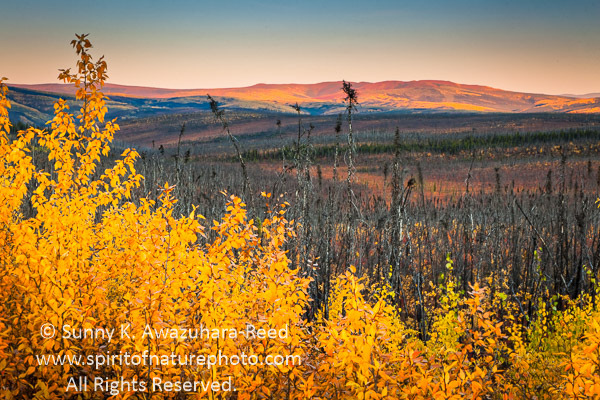 After the short summer, trees turn bright yellow and the tundra transforms to orange and red! 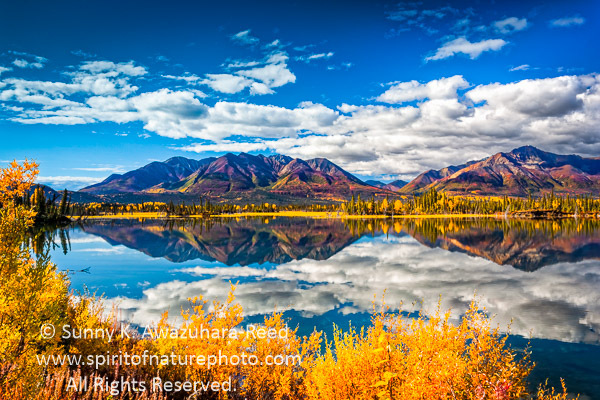 It was early September in beautiful weather as I was headed north to capture the colors. Trees in Anchorage were still green at that time. 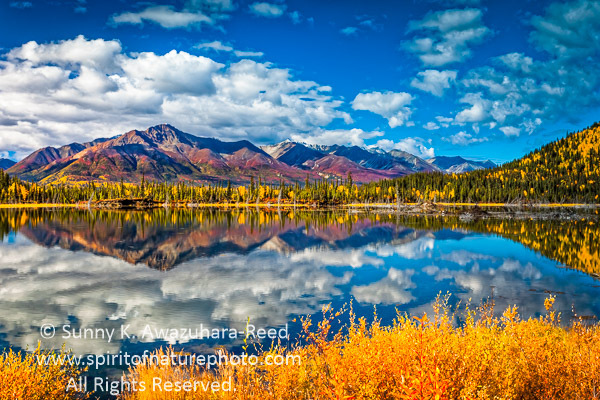 In interior Alaska, typical Alaskan tundra landscape begins at the south side of Denali National Park. The entire valley was already in vivid reddish autumn colors and full of blueberries! 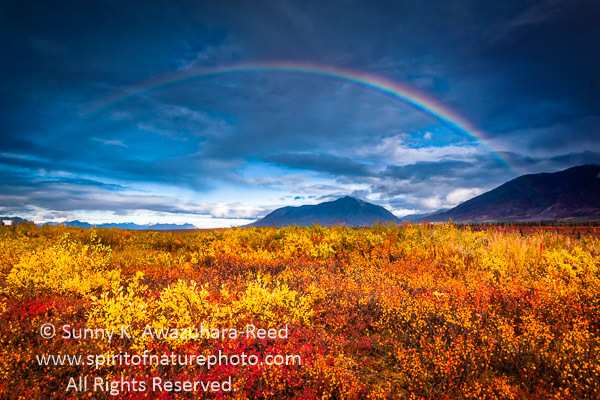 The rain showers over the mountain pass finally stopped… Then a perfect rainbow arched along the Alaska Range! 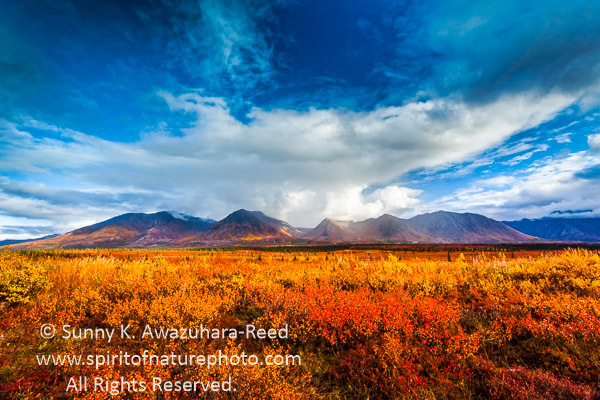 The sun peeked through the clouds and brightened up the fall colored tundra. 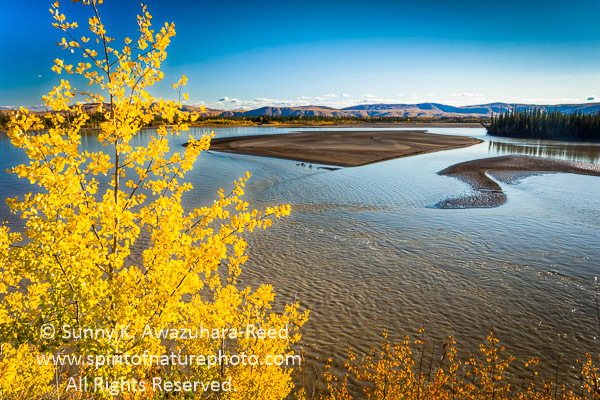 Heading down to Eastern Alaska the next day, the spectacular fall colors continued on… Here is the Tanana River with the yellow fall leaves! 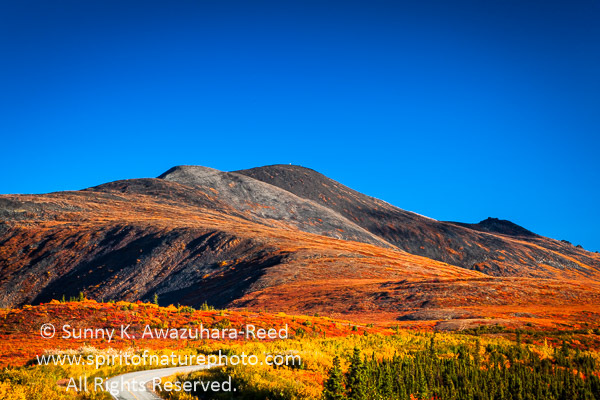 The mountain pass along the Taylor Highway was all carpeted with vibrant tundra… It was like nature was releasing the entire energy for their season's grand finale! The beautiful weather continued into the next day. Endless fall leaves cheered along the highway with numerous lakes. This lake was perfectly still and reflected the mountain range like mirror! There are so many places like this in Alaska which are outstanding sceneries but in very remote places and not so many people get to see it. I was lucky to be in the place at that special moment. The last stop was Chugach Mountains along Glen Highway... Brilliant colors!